Welcome to Kiwi English Academy, the specialist English language institute.Established in 1991, we provide high quality English language training to both young people and adults. For over 25 years Kiwi English Academy has helped thousands of students from around the world to achieve their English language goals. We invite you to join our international family and study English in the heart of Newmarket, Auckland. Our directors and staff welcome you to join our international "family". We understand the importance of your decision to study abroad and are committed to helping you to achieve your academic goals as well as to enjoy your New Zealand experience. New Zealand's spectacular scenery, green countryside, rugged mountains and beautiful coastline make it a haven for many outdoor activities and a great place to unwind. New Zealand society is diverse, sophisticated and fast becoming a favoured study destination for international students. Auckland with its population of one and a half million stretches 50 kms, joining two of the world's most beautiful harbours. Its islands, colourful boats and windsurfers have given it the name "City of Sails". Outdoor living is a way of life in Auckland's mild temperate climate (summer 25 ° and winter 12 °). Auckland is the main city of New Zealand, having an international outlook with some of New Zealand's best universities, polytechnics and high schools. People of all nationalities mix well in Auckland, a truly cosmopolitan city. Locals and visitors alike enjoy the ethnic cafes, the cultural diversity and the superb facilities Auckland has to offer. 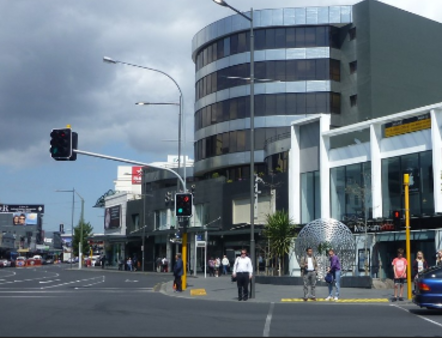 Kiwi English Academy is located in Newmarket, in the heart of Auckland. Just five minutes from Downtown and a quick stroll to Auckland Museum and Parnell, Newmarket is truly fashionable, convenient and popular with residents and visitors alike. Newmarket, named after Newmarket in England, is close to some of New Zealand's most prestigious high schools. High quality homestay, hotels and flatting accommodation is available nearby. Auckland is a city where your dreams may come true.